SQL Backup Recovery tool will help you to retrieve the data efficiently without lose. Within few steps your backup file will be recovered from damages. Severe be the damages, the tool will repair all those damages within seconds and your data will be safe again. Auto detect option allows to search files automatically. It is friendly software and can be easily understood as well as doesn't require much technical efforts. Other interesting feature of the SQL Backup Recovery software that makes it precise is the scanning modes; quick and advance. With these scanning algorithms the recovery is made possible. Since the scenario you live concerns more on data, the repair tool will be of great use and it saves time. What Brings SQL Backup Recovery Tool Outstanding? Usually, the replica of SQL database files are taken since data is of great demand and losing will cause lots of damages. Taking the replica is called backup. Almost all the organizations keep the copy of the data for security. But, due to some reasons like; virus attack, hardware issues, etc. the backup data can go corrupted or damaged. The tool flawlessly recovers all the files from damages. Either, you can add multiple files or folders all together for repairing. Once if the recovery button is pressed, users can see the scanning proceedings along with the contents in the file. The repair tool shows the recovered data with its fields and allows exporting the files. Data is an asset of all enterprises and so the backup is taken. However, there are ways that ceases the backup data. 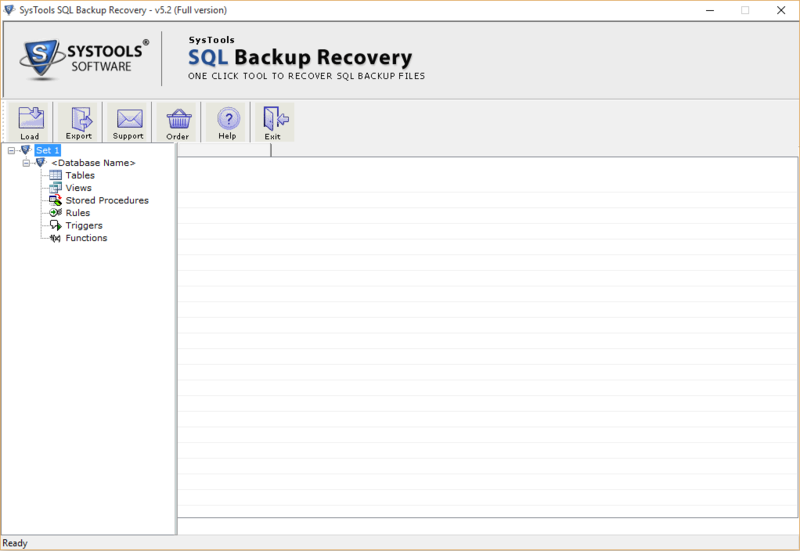 For the recovery of your SQL database file try SQL Backup Recovery tool. It simply verifies, restores and export the backup files. The trail version is available for testing the efficiency of the software but, forbids the exporting function of the software. You will have to get the full version for the exporting feature.